Manchester City again successfully turned defence into attack in a blink of the eye before scoring their second goal against Leicester today. Leicester had almost scored before City cleared the ball to the one man you’d hope to receive it – Kevin De Bruyne. 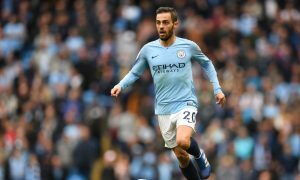 He launched a ruthless counter attack and eventually received the ball back from Leroy Sané. What happened next can be seen below. KDB powered home an absolute beauty of a strike, bringing back memories of his game-winning goal against Chelsea at Stamford Bridge. Like the first goal, watch and marvel.